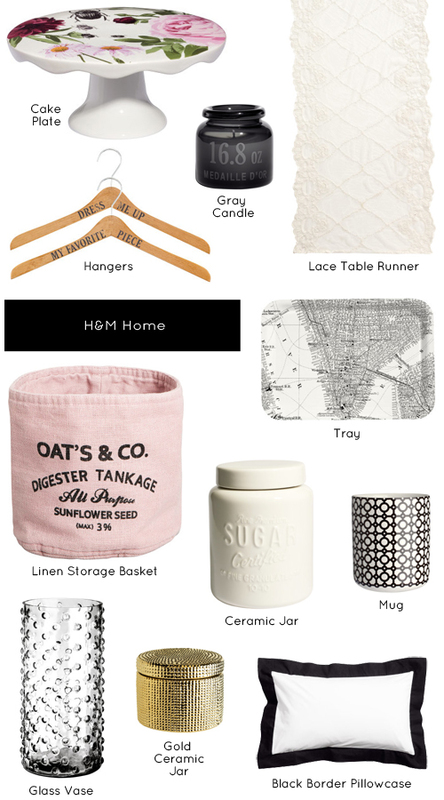 As promised, here are some of my faves from H&M's Home line. Even though the line is more on the 'cool girl' side (wish I was edgy and cool) and not my usual MO, I'm still loving many of the pieces. And what's not to love when the prices are so reasonable? Everything on this board is under $18. How amazing is that?? I've already purchased a few items, that Gold Ceramic Jar included, and I cannot wait to get them. What will you be purchasing?